Buy food and other items unpackaged: take your own bags and containers when you shop and avoid prepacked items. Write a list to buy only what you need. You can read more here about my favourite places to by unpackaged in Leighton Buzzard. The market and independent shops are great for this. If you can’t find it unpackaged, choose glass, paper or card over plastics, or investigate refills: as well as being made from non-recyclable fossil fuels, plastic is harder to recycle and can often only be “downcycled”. It therefore likely to end up in landfill sooner, and takes centuries to biodegrade. Glass and paper however can be endlessly recycled and paper can be home composted. Easy swaps from plastic include switching from plastic tubs to butter in paper (Waitrose), from tea bags (which often actually contain plastic as well as coming in plastic wrap) to loose tea in card (PG Tips is widely available), oils in plastic to oils in glass bottles (you can also get refills of flavoured oils at Dobbies in Bletchley), bar soap (bought loose or in card), refills of laundry and washing up liquid (in Leighton Buzzard these are available at Nature’s Harvest), laundry powder in card (Aldi), dishwasher powder and salt in card (Waitrose or Sainsbury), milk in glass bottles (Pecks Farm deliver in the Leighton Buzzard area or you can take your own bottle to fill from the milk vending machine at Clipstone Dairy). You can find out more about plastic in tea bags in this article from Treading My Own Path and a list of easy swaps in this article from Happier, Sustainable, Less Skint. If you can only find products in plastic buy the largest size available for less packaging pro rata as long as the product stores well and you will actually use it all. For example we buy 5kg bags of basmati and long grain rice from the world food section of the supermarket – if you live close to an Asian supermarket you may have more options and be able to find rice in paper. Use reusables: take your own coffee cup or water bottle out, use cloth handkerchiefs, cleaning cloths, washable feminine hygiene products such as cloth pads or a menstrual cup, instead of disposables. Take your lunch to work in a reusable lunch box ( I have a lovely stainless steel one from A Slice of Green but we also continue to use a lot of plastic ones we had already as well as using containers such as ice cream tubs). Extend the reuse of products by buying second-hand and donating things you no longer need – as well as the charity shops there are numerous local sharing groups for giving away or requesting items, often for free – you may be surprised what things people can make use of when you no longer need them, and how often someone else no longer needs something you do. You can find links to some of them at the end of this post -a search for local similar groups on Facebook is always worthwhile as I have only mentioned a couple I use in the list. Repair things rather than replacing if you can. Many areas (although sadly I’ve not found one near me yet) have repair cafes where you can get help to fix your broken items. If you don’t have one near you can often find information about repairing things online (local people offered me plenty of advice on recent problems with my washing machine via local discussion group Nextdoor – in the list of links at the end). Have a go at making your own: If you have time bread, cakes and pasta can easily be made from ingredients largely sold in paper bags. White vinegar is great for cleaning and can be bought in glass bottles. You can make your own deodorant and apparently toothpaste from coconut oil (glass from Aldi) and bicarbonate of soda (in card from Selections or Wilco) with a few drops of essential oils. I have saved links to lots of useful recipes on my boards on Pinterest. Reduce your food waste: meal plan to avoid overbuying and use your freezer to save leftovers. Love Food Hate Waste has lots of tips. Washed peelings can be saved up to make stock, and fruit scraps can be used to make scrap vinegar or tepache. Compost as much as you can – pretty much anything organic can go in. Like many councils Central Bedfordshire offers discounted compost bins and information. 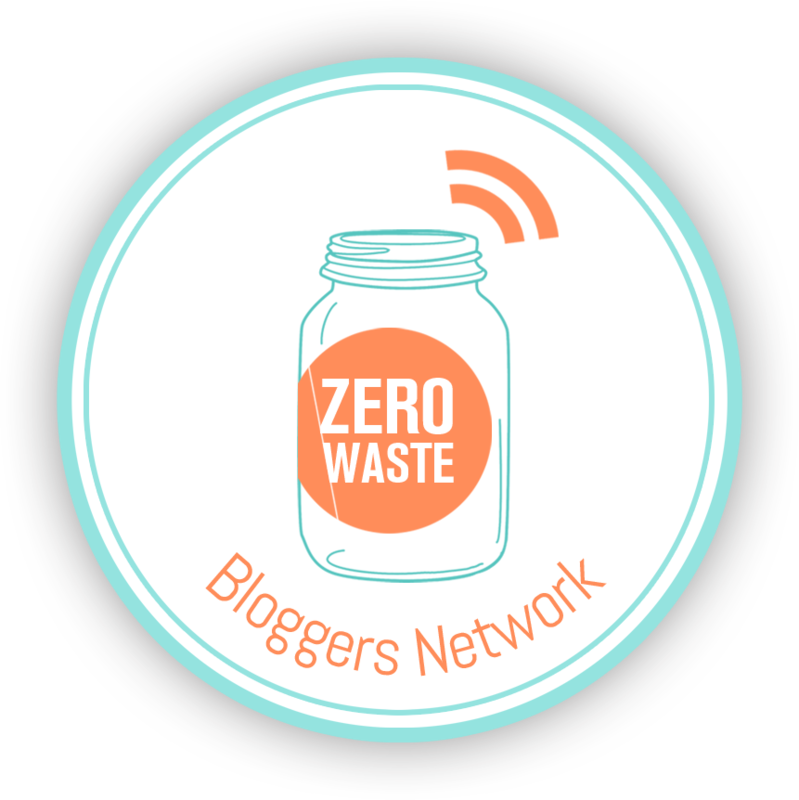 If you want to know more and are on Facebook, the friendly groups Zero Waste Heroes and Journey to Zero Waste UK are great places for sharing ideas or asking questions about reducing your waste, and there is now also a local group Zero Waste Bedfordshire. Are you tired of putting the bin out for collection every week? Is your bin full of packaging waste? We are fortunate that Central Bedfordshire accepts a large variety of food packaging for recycling but plastics tend to be hard to recycle, can mainly only be downcycled, and can only be recycled a few times before ending up in landfill ( or in the oceans). Plastics then hang around pretty much forever ( How long does it take a plastic bottle to biodegrade?). They are also made of non renewable oil and potentially leach toxins into your food. We have therefore been trying to reduce not only our landfill waste, but our recyclables too, particularly trying to avoid single use plastics. This has been a journey, changing our buying habits a little at a time, but over the last couple of years we have managed to reduce our landfill waste by over 80% and our recycling by about 50%. This post is about just one of the ways of avoiding packaging waste, by trying to avoid acquiring it in the first place, and focusses on the places that, after a change in my shopping habits, I find this easy to do for grocery and household items in my home town of Leighton Buzzard. If you know of other local shops that should be included please do let me know. I now try to buy food, and other items, unpackaged whenever possible. This tends to be easier when shopping at the local market and independent shops than in the supermarket, although the supermarkets usually have some loose fruit and veg – remember to bring your own bags or containers. Meal planning and a shopping list will help you have a good idea of how many bags/containers to bring along. Some of my personal favourites for buying unpackaged items are featured here. Harris and Sons Fruit and Veg – on the South side of the High Street on Tuesdays and Saturdays. Happy to place fruit and veg directly into your own bags. Other market traders are also often happy to sell into your own containers – just ask nicely at the start of your purchase. It feels strange at first but you soon get used to it, and so do the traders. I have done this several times at the olive stall at the top of the High Street and at the Delisha samosa stall, a cake stall and at the other fruit and veg stall. The fish van indicated he would be happy to do this too. Mimic Gifts sells a range of vegan friendly bath products free from SLS and palm oil – many products can already be bought loose or in card, with a discount if you bring back the box to refill, and the stallholder is working hard to remove or reduce plastic packaging and source alternatives for other products. The farmers market and craft markets are also a good place to ask. Check the market website for the dates of each. Bucks Star Brewery visits the farmers each month and take their glass eco -growlers back and give you a full one at a discount, whilst the Leighton Buzzard Brewing Company sells refillable growlers which you can refill at the brewery on Grovebury Road. The Honey Man asks you to return your empty jar for a discount off the next one. Leighton Buzzard Brewing Company stall at the monthly farmers market. House of Coffee – Peacock Mews. This small coffee roasting shop is happy to grind coffee as required into your own container. I began by taking in a plastic lunch box but having since acquired lots of empty large Douwe Egberts coffee jars from a local sharing site I use one of those, carefully wrapped in a tea towel to protect it in transit. We then store the jar in the freezer to keep the coffee fresh. Fair trade options are usually available. A small discount is now offered to customers refilling their coffee bags or using their own containers. Loose tea is also available. Selections – High Street A variety of hardware items from replacement broom heads to individual screws. They also sell replacement gas canisters for SodaStream (as does Argos) which has replaced the plastic bottles of fizzy water we used to buy every week, and saved us money. Natures Harvest – North Street Sells unpackaged soap and refills for Ecover laundry and washing up liquid. Also stocks bamboo toothbrushes, Ecoleaf toilet roll in compostable packaging and lots of other eco friendly products. Although many of the food items are currently in plastic, the owner is actively investigating alternatives. Oliver Adams Bakers- Market Square Bread, cakes etc either in paper bags or into your own bag/container. The Co-Op – Waterdell off Brooklands Drive has a daily delivery of Italian bread which can be bought loose. Strattons Butchers – Market Square . If you eat meat ask Strattons to sell it you without any single use plastic. I ask them to weigh it on the waxed paper sheets they use and then transfer in to my own container, which they are happy to do. Model Farm – Hockliffe Road If you are passing ( just out of town past the garden centre) this is a great place to buy free range eggs. We return the boxes for reuse when we next visit. Pecks Farm – Towards Hockliffe – we have our milk delivered in returnable glass bottles by Pecks Farm. It does cost more so is one of our more recent changes, but we have offset the additional cost by savings made elsewhere in our waste reduction journey. The farm also sells a range of local produce, oil and vinegar refills and loose fruit and veg, including organic options, (thanks to Pecks Farm for supplying the photo below). You can still find some unpackaged options in the supermarket – it does vary but locally I find Tesco tends to have the most unpackaged fruit and veg. Morrisons and Waitrose also sells loose rolls, croissants and cakes – I use my own bag or container where these are self service but have not been able to do this at the counter. Mmm, which potatoes will I choose? The Little Buzzard Bakery on North Street – very happy for you to use your own bag for their freshly baked goods – but get there early as they often sell out! Clipstone Dairy – Clipstone – has a milk vending machine. I haven’t used it yet but understand they will sell you a bottle you can reuse but are also quite happy for you to bring along your own bottle to fill. Vending machine with a choice of bottles – images kindly provided by Clipstone Dairy. And if you need a coffee to take away while you are out and about, both Costa and Espresso Head offer a discount if you bring a reuseable mug. If you do end up with a takeaway coffee cup from anywhere, did you know that you can take them into Costa who will send them off to one of the 2 places in the UK that are able to recycle takeaway cups? Have you shopped packaging free anywhere else locally? Please let me know. Leighton Buzzard is coming soon to the Zero Waste App available at the App Store and Google Play. Now , do you still need to put that bin out? 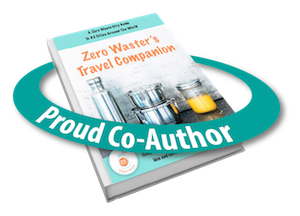 Did you know that you can now follow me on Facebook, Twitter, and Instagram where I share some of our daily waste saving in more regular short posts? Please do sign up. Plastic Free July – so how’s it going?